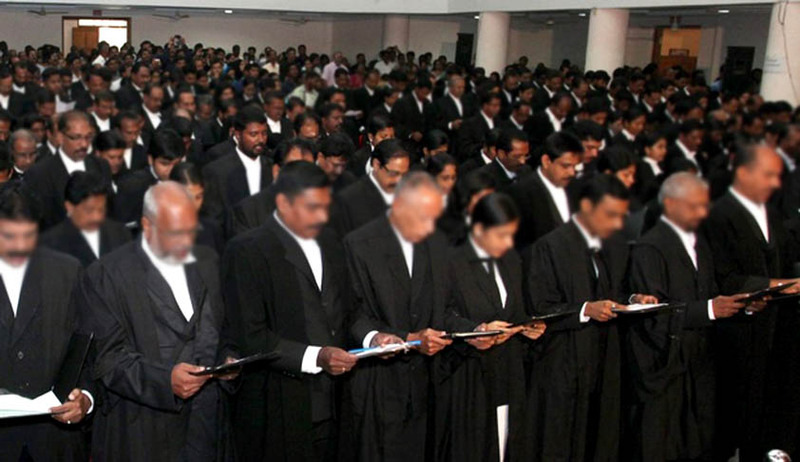 Due to non-availability of coats and gowns, though lawyers entered the Hon’ble Supreme Court, but, could not appear before the Judges as their entry pass was marked ‘For Consultation’. The West Bengal State Consumer Disputes Redressal Commission directed Air India to pay compensation of Rupees Two Lakhs each to two lawyers who could not appear before the Supreme Court on the date of hearing as the coat and gown and other case files was in the luggage which got misplaced by the Airline. Dibakar Bhattacharjee and Sanjoy Pandit had approached the state commission complaining about the loss of their luggage from the custody of the Air India, while they were on the way to New Delhi by Air India Flight. They contended that as a result of such loss of luggage, they could not discharge their professional duty before the Hon’ble Supreme Court for which they had to suffer huge financial loss. They specifically urged before the commission that due to non-availability of notes, case references, synopsis etc., relating to concerned three cases, they could not confer with seniors and also due to non-availability of coats and gowns, though they entered the Hon’ble Supreme Court, but, could not appear before the Judges as their entry pass was marked ‘For Consultation’. Ordering two lakhs compensation, the commission observed that there was deficiency in service on the part of Appellant Airlines in losing the luggage of the Complainants, which caused them immense harassment, agony, mental tension and loss of professional face apart from monetary loss.